How Did Jared Huggins Fare on "The Big Game? 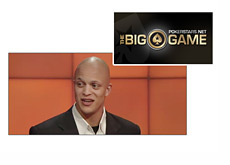 "The Big Game" Season 2, Week 3, Episode 1 has now been posted on Pokerstars.tv, and it features Jared "RelaxedPrecision" Huggins as the "Loose Cannon". 1 1/2 years ago, Huggins was broke, sick, homeless and begging for food outside of fast food restaurants. Inside of two years, Huggins had turned things around and was appearing on "The Big Game" with a chance to make life-changing money. The story of Jared going from broke to "The Big Game" started back in February of 2010 when Jared posted on 2+2 after busting his bankroll. A few posters on 2+2 said that they would send Huggins some money if he would agree to make some videos (one of which had him giving out free hugs on Venice Beach). He made the videos, and many in the online poker community soon fell in love with his infectious personality and never-say-die attitude. Many people chose to send Huggins money in an attempt to help get him back on his feet. In addition, a campaign was started to land Huggins on the upcoming season of "The Big Game". The campaign worked, and Huggins was able to land a spot on the show. After "Black Friday" took place and "The Big Game" was cancelled in the United States, many people were wondering if they would ever find out what had become of Huggins on "The Big Game". 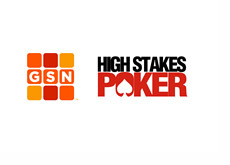 Thankfully Pokerstars decided to post all of the episodes on Pokerstars.tv. You can watch the first episode featuring Huggins by clicking the link below.